I was happy to attend MAC's very first pre-Christmas launch event in Brown Thomas on Monday night for the three Holiday/Christmas collections: Guilty Passions, Glamour Daze & Fabulousness. With MAC dolly birds wandering around with freebie champers and Ladurée macaroons, I was cursing my diet and my car-driving status... what odds. I know from attending various Harvey Nichols events in the past that champers + me + a credit card is a horrifyingly* lethal combination. So it was probably a good thing. Probably. This was organised at relatively short notice and saw the MAC section closed-off from 6-8pm for those on the invitation list. I am ever-so-slightly concerned that MAC considers me sufficiently "VIP" to warrant a personal invitation (just how much makeup do I buy in a year?!) but what of it, it was nice to see this stuff up close and personal and ahead of the crowd. 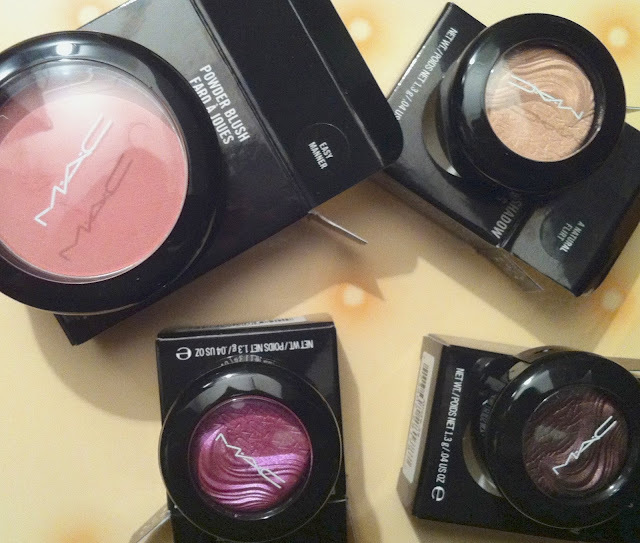 As with all MAC Christmas/Holiday collections, these are huge. Seriously ridiculously OTT huge. I tried taking photos but the lighting was crap and they really just didn't do the products justice. So some stock images will have to suffice (more in a bit). For me, this collection was the most interesting, and the only one from which I bothered to purchase. This collection features all individual items, pretty much all are LE (limited edition), some are re-promotes of previous items. 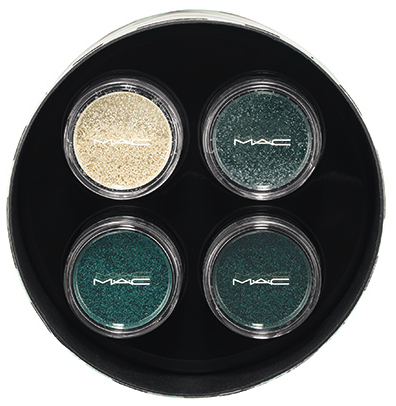 Note that this is the only collection for which the MAC Pro discount was applicable, if that's relevant. The lighting is not doing justice to these; in real life they're a lot more vibrant. 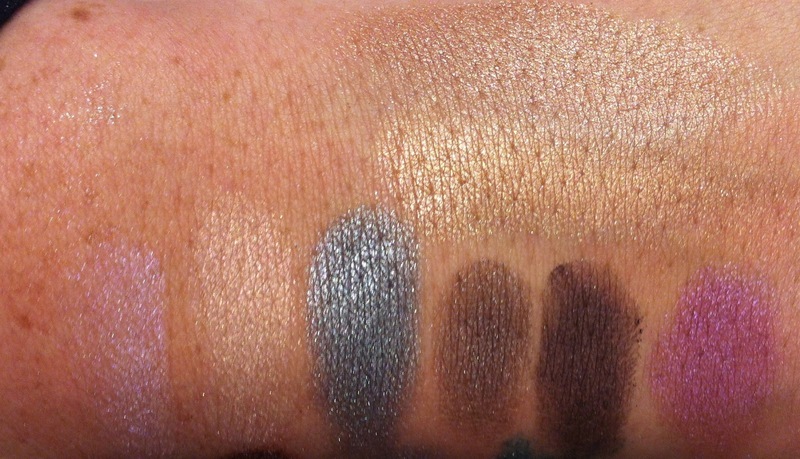 Incidentally, these Extra Dimension eyeshadows are a good deal smaller than those brought out in the summer. Wonder why... hmmmm. I have both of these from before and love them - Whisper of Gilt is probably the most usable for paler Irish skins (see Back of Hand swatches section above). 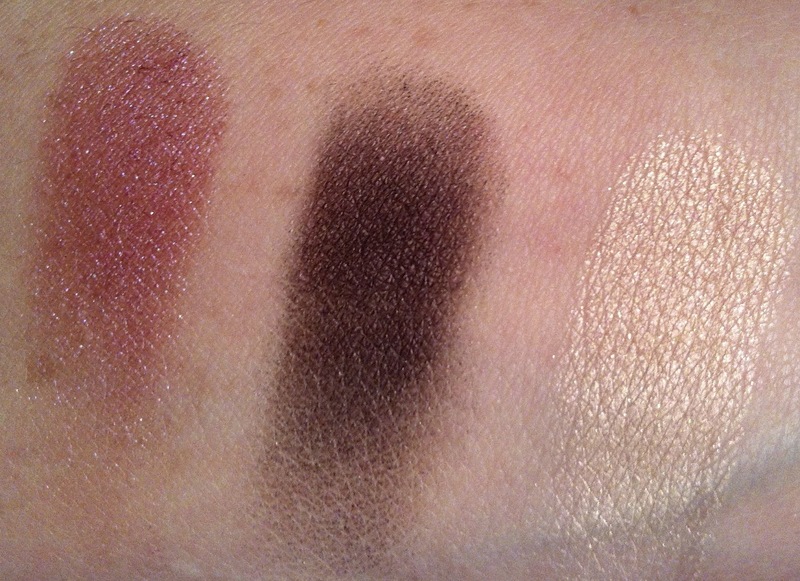 Of the three, Catch My Eye was probably the most interesting, but they all featured far too much glitter for my liking. You can purchase a cheap gel glitter liner and get more or less the same effect as these. 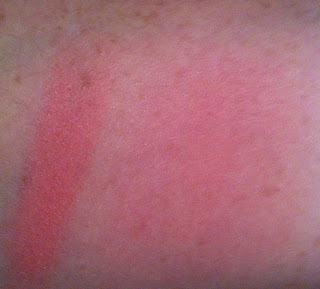 ** I purchased Easy Manner, it's a gorgeous shade of creamy watermelon pink with a satin finish. The only one interesting (for me) was In the Limelight, but I have a similar Illamasqua mint green shade, so I wasn't buying. I loved Flight of Fancy, but I already have MAC Sin and have recently purchased Chanel's (iconic) Rouge Noir (see here for a review), and this is just too similar to both of those. Truth be told, I didn't see these - there was a lot to look through on the night! I will take a look when these are on-counter again in a few weeks. Featuring packaging in mint green and powder pink with cutesy bows and stripes, essentially this collection is all about the gloss and glitter. 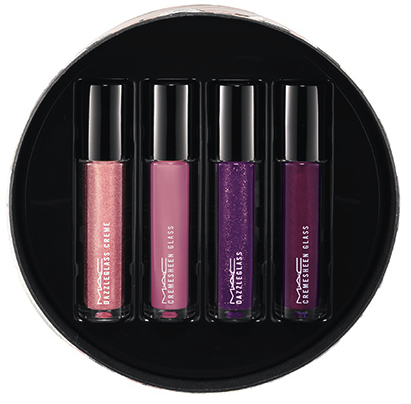 Here we see mini kits for eyes and lips and stackable pigments. All of these collectinons are LE. 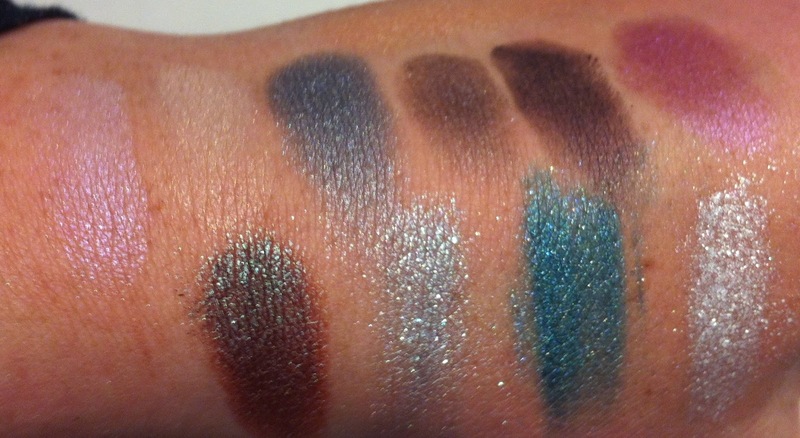 The prices are quite good (for example the stack of crushed metallic pigments is €37, which compares nicely with the price of a single pigment, around €25). 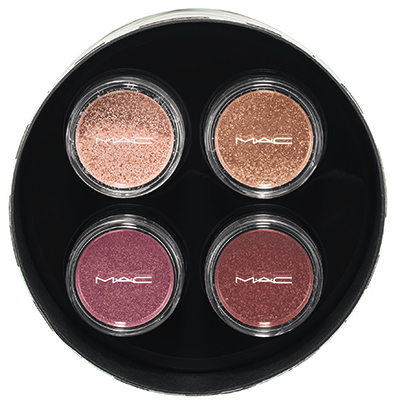 Note that the MAC Pro discount does not apply to this collection. 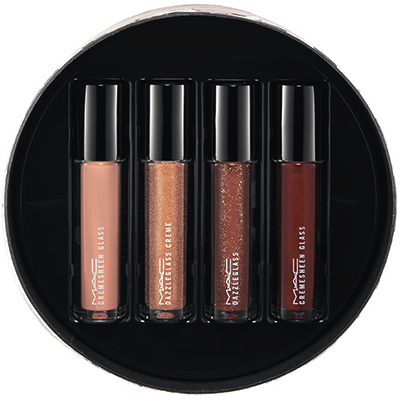 I am not particularly personally) interested in this collection, with the exception of the Brilliantly Cool pigments set, which I may wind up going back to have another peek at in a few weeks, however I can see the appeal of these as Christmas gifts. I really had thought that Get Rich Quick (second from right above) would be interesting, but swatched it looked a bit dirty/rusty brown, not particularly my cup of tea at all. 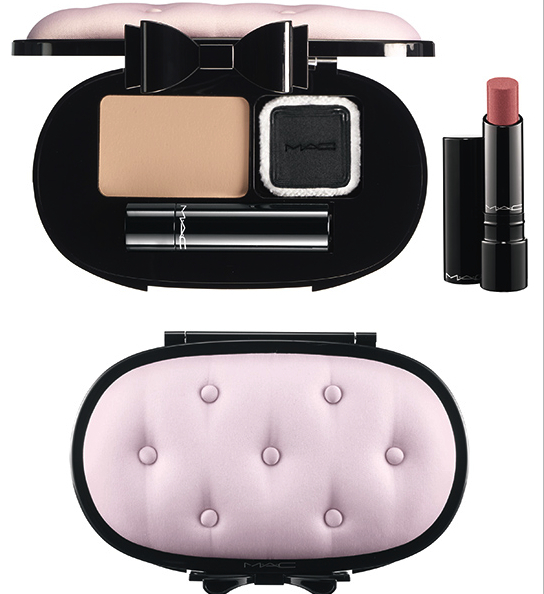 The packaging on this collection is just divine, with sateen-covered quilted compacts in various pastel shades of pink, green and champagne, but I wasn't particularly (personally) interested in the products I saw. This features eye palettes, face palettes, eye+face palettes, the Christmas brush collections, eye kits, lip kits and a travel bag... this is the most extensive of the three collections and all the kits are LE (but not all of the contents of the kits are LE). Despite the absolute gorgeousness of the packaging, I'm not bothered (at this point I have been de-potting for years, so packaging, unless it's something very unusual, generally doesn't sway me). 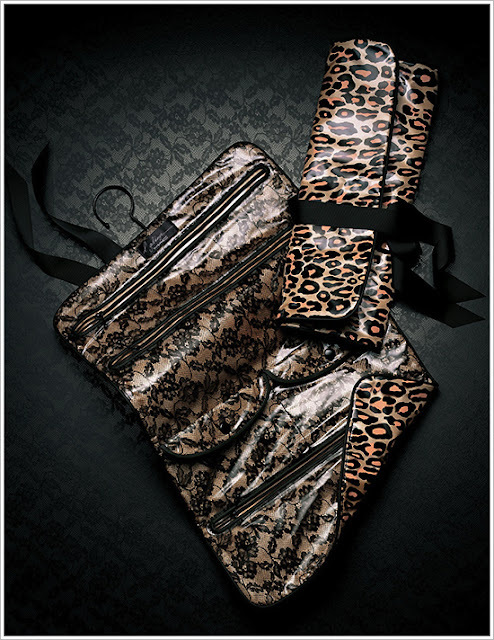 First-up, the Hanging Travel Bag, (LE), €39.50, a sateen-and-plastic travel bag that contains three zippered pockets, two pockets with snap-fasteners, and a hook for hanging it up when you're travelling. I didn't like this if I'm honest. Well made but tacky looking (in my opinion), and certainly not cheap for what it is (it doesn't come with any products). 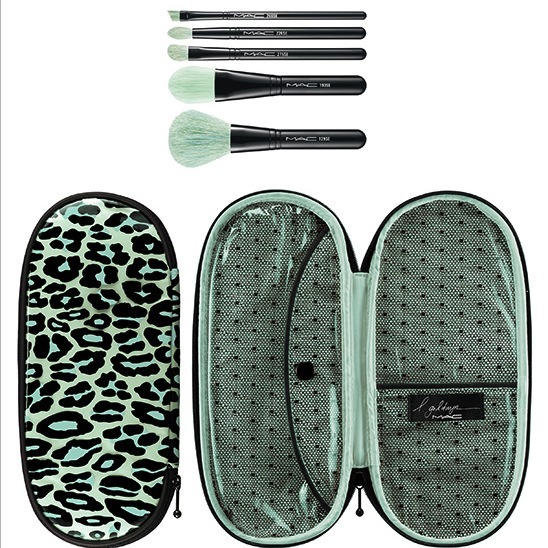 Personally, I never recommend the LE brush sets. 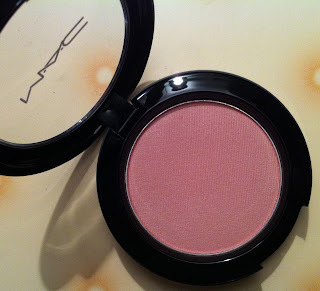 I have found, without exception in the past, that the quality of these offerings is sub-par and categorically not on the same level as the non-LE, non-set MAC brushes. But each to their own. There are three Fabulousness Eye Palettes featuring five eyeshadows in each, one for Warm Eyes, one for Neutral Eyes, and one for Smoky Eyes. Beautiful packaging aside, a few quick swipes of these left me unimpressed; the colour payoff just wasn't there for a lot of the shades that I swatched quickly. 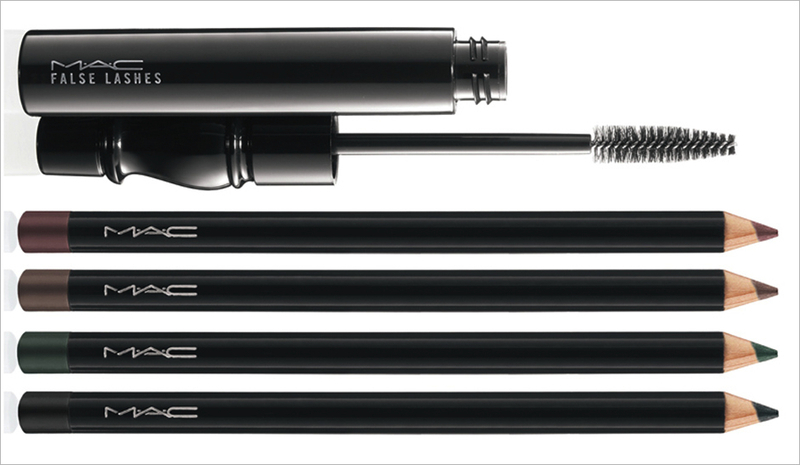 Some of the shades are LE, some are permanent line, but the sets are all LE. The cost of these is €49 each. 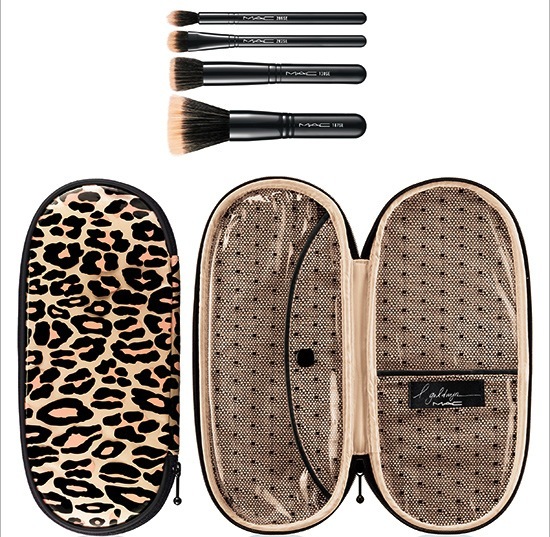 Similarly, there are three All For Glamour Touch-up kits, each featuring a blot powder and a lipstick. 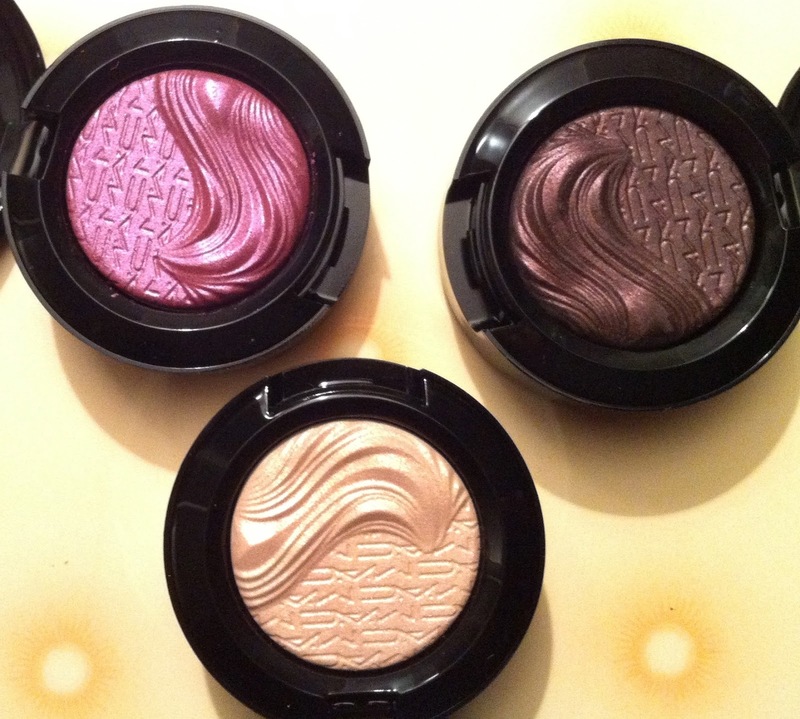 Now these I could get behind if they featured Studio Careblend powder instead of Blot Powder, but how and ever the packaging is just so utterly fabulous, I could be tempted by these. Could be, but probably won't be. Each of these kits are in pink packaging, each is LE, each is €59 I think (my handwriting sucked at this point, but this price is in the correct ball-park). There are two LE Lip Look Bags, and three LE Eye Look Bags. 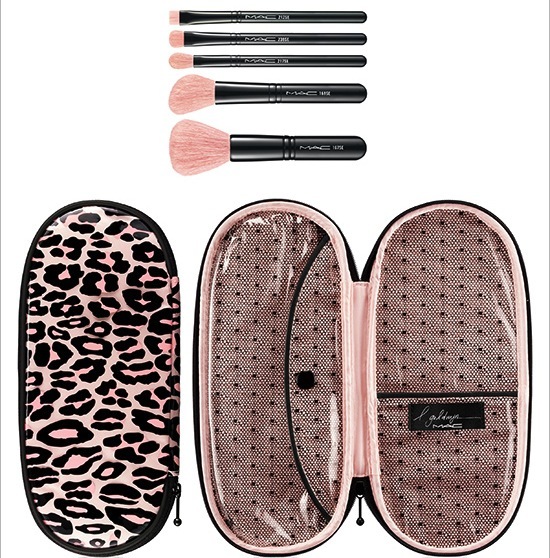 The Lip Look bags are (I believe) €49 (needs confirmation, dodgy handwriting again for this one) and each features a pink purse which contains a lipstick, a lipglass and a lip liner. 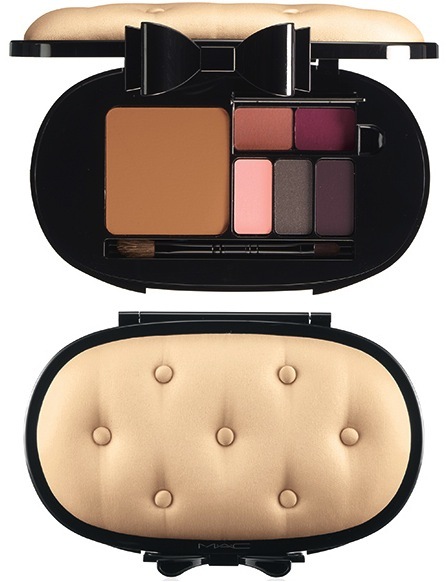 The Eye Look bags are €55 each, and are packaged in a green purse, containing a mini duo-eyeshadow palette, an eyeliner, a mascara and an angled eyeshader brush (275SE). Again, in both the Lip Look Bags and the Eye Look Bags case, some of the products are LE, some are not, but the kits themselves are LE. And I am going back for another look at the Brilliantly Cool pigment set when the collection launches - speaking of which, these products go on sale in another two-three weeks I believe; in general MAC launches on the first Thursday of the month, so that would be around 7th November as far as I know.